Looking for deals in Taipei? Located at the heart of Banqiao, Hotel Cham Cham - Taipei offers accommodations in Taipei, 0.7 mi from Nanya Night Market. Free private parking is available on site. The staffs are very nice. The room is very clean and new with modern design. The location of the hotel is just 5 mins walk from the train/metro/high speed rail station. Designed in the theme of trees, arTree hotel offers stylish guest rooms, a cozy terrace and 2 dining options. Hotel was new and clean. We stayed with 3 yrs and 6 month old children. They enjoy breakfast buffet and spacious room! Only 1 downside was Outside terrace was used smoking area so we could not eat outsides. Everything else was perfect! Located only 1969 feet from Shilin Night Market and 0.6 mi away from MRT Shilin Station, Uinn Business Hotel-Shihlin features a restaurant and free WiFi throughout the property. I liked the cleanliness. Breakfast was great!! The staff were all courteous and very helpful. Location was great!!! A heated rooftop pool with sun loungers, panoramic views of Taipei City and modern rooms with free WiFi can be found at The Okura Prestige Taipei. Absolutely perfect hotel, beautiful location and excellent staff. Literally not one missed step on their part. Highly recommend. Located in the Shilin District district in Taipei, The Tango Hotel Taipei Jiantan offers 4-star rooms with free WiFi. Perfect location, close to subway station. Quiet. Even has a washing machine in the room. Located only 2953 feet from The Taipei Jianguo Jade & Flower Market, Swiio Hotel Daan is housed in a recognizable pure white building with geometric designs and boast coherent, edgy guestrooms with... The staff were very attentive, friendly, and courteous. With a restaurant, 24-hour front desk, and free WiFi throughout, Madison Taipei offers rooms in a lively area of Taipei. MRT Daan Station is a 10-minute walk away. Great hotel and service overall. Rooms are big and spacious. A minutes’ walk from Shandao Temple MRT Station, HOTEL COZZI Zhongxiao Taipei provides modern yet cozy rooms with free Wi-Fi and windows. A buffet breakfast is served every morning. The lounge in the 2nd flour is great. Chill Roof Hotel offers accommodations in Taipei. You will find a kettle in the room. Each room is equipped with a TV, a small fridge and a private bathroom with shower or bathtub and toilet. Rooms were very unique, we changed to another room on the last day when we extended out booking. Surrounded by various dining and shopping options, Cho Hotel is in Ximending. 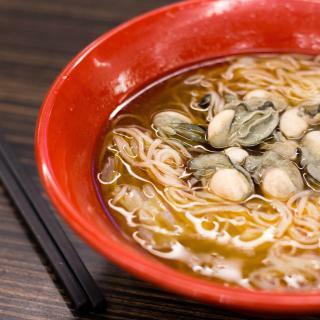 It's only a 2-minute walk from Ximen MRT Station and Eslite Bookstore. Free Wi-Fi is available throughout the property. I love the social lounge. It has such a nice atmosphere for hanging out and just relaxing. Completely remodeled from an old building, Dandy Hotel - Tianjin Branch provides modern boutique rooms with free Wi-Fi and a 32-inch flat-screen TV. The location can't be faulted! Featuring 42-inch flat-screen TVs and free Wi-Fi, Dandy Tian Mu offers modern rooms a 10-minute drive from popular Shilin Night Market. It has an outdoor cafe and offers free parking. Location is quiet. Near shilin night market. Walking distance to a Sogo Mall. City Inn Plus is located at the popular Ximending Area, a 5-minute walk from Ximen MRT Station. It offers stylish accommodations free Wi-Fi access. Drinks and coffee are available at the lobby. Very clean room. Facilities and amenities are good. Staffs are very friendly. Located in Taipei, a 9-minute walk from Presidential Office Building, Apause Inn has air-conditioned rooms with free WiFi. The place was so clean and comfortable even if there was not much space. PALAIS de Chine is a Muslim-friendly and luxurious 5-star hotel located a 3-minute walk from Taipei Bus Terminal. A really funky hotel with a cool mix of Asian and Western culture. Featuring bright and vibrant design collaborations with Quiksilver, CityInn Hotel Taipei Station Branch III is a convenient 5 minute walk from Taipei Main Station. The hotel staff are very accomodating. CityInn Hotel Taipei Station Branch II offers modern and minimalist rooms just a 5-minute walk from Taipei Main Train Station. The staff are very friendly and polite especially Ores were very helpful and friendly. HATAGO+ HOTEL in Taiwan offers accommodations a 5-minute walk from Taipei Main Station. Guests can enjoy the on-site bar with coffee, tea and nonalcoholic drinks. The staff is so friendly that you want to hug them! How much does it cost to stay in a hotel in Taipei? On average, 3-star hotels in Taipei cost $91 per night, and 4-star hotels in Taipei are $137 per night. If you're looking for something really special, a 5-star hotel in Taipei can be found for $252 per night, on average (based on Booking.com prices). The average price per night for a 3-star hotel in Taipei this weekend is $176 or, for a 4-star hotel, $257. Looking for something even fancier? 5-star hotels in Taipei for this weekend cost around $525 per night, on average (based on Booking.com prices). Which hotels in Taipei have nice views? Jolley Hotel, Eslite Hotel, and Wow Happy- Taipei got great room view-related reviews from travelers in Taipei. Which hotels in Taipei offer an especially good breakfast? For hotels in Taipei that serve highly-rated breakfasts, try HOTEL CHAM CHAM - Taipei, Taipei Fullerton Hotel-Maison North, and Jolley Hotel. Which hotels are the best ones to stay at in Taipei? The Okura Prestige Taipei, HOTEL CHAM CHAM - Taipei, and arTree hotel are some of the popular hotels in Taipei. On average, it costs $66 per night to book a 3-star hotel in Taipei for tonight. You'll pay around $118 if you choose to stay in a 4-star hotel tonight, while a 5-star hotel in Taipei will cost around $233, on average (based on Booking.com prices). Which hotels in Taipei are good for families? Many families visiting Taipei loved staying at 109 Hostel Taipei, Hoyumi Hotel, and Villa 32 (Guests must be 16+). What are the best hotels in Taipei near Shilin Night Market? Some of the best hotels in Taipei near Shilin Night Market include The Tango Hotel Taipei Jiantan, Mono Hostel and Tango Inn Taipei Jihe. What are the best hotels in Taipei near Taoyuan Airport? Travelers who stayed in Taipei near Taoyuan Airport (TPE) have said good things about Plaza Premium Lounge, Novotel Taipei Taoyuan International Airport, and City Suites - Taoyuan Gateway. Which neighborhood is the best one to stay at in Taipei? 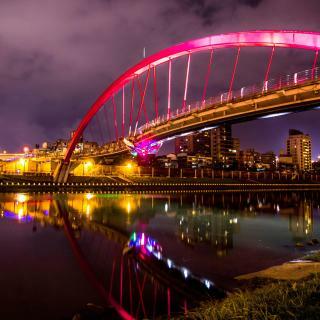 Zhongzheng District, Songshan District , and Nangang District are popular with other travelers visiting Taipei. Which hotels in Taipei are good for couples? These hotels in Taipei are highly rated by couples: Jolley Hotel, The Tango Hotel Taipei Jiantan, and San Want Residences Taipei. 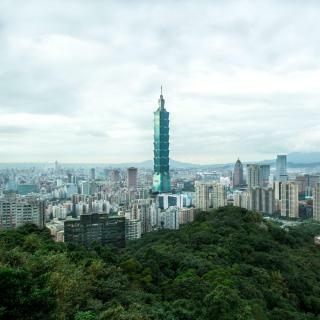 Capital of the Republic of China (commonly known as Taiwan), huge Taipei is surrounded by mountains. Taipei 101, once the world’s tallest building, dominates its skyline from Xinyi, an area known for the most active nightlife. At Chiang Kai-shek Memorial Hall the national flag is raised every morning and the guard changed every hour. Less known for tourists is National Sun Yat-sen Memorial Hall, containing a tall bronze statue of the country’s founding father. 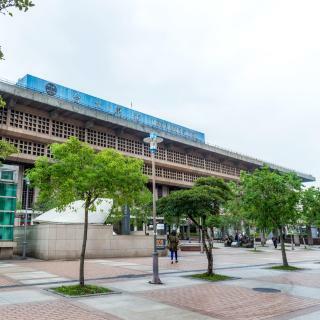 Taipei has tons of museums, but the best are Shung Ye Museum of Formosan Aborigines and the National Palace Museum – one of world’s largest collections of Chinese artifacts. Even more numerous are the temples dedicated to Buddhist, Taoist and Chinese folk religions. Xinsheng South Road is nicknamed "Road to Heaven" for its sheer number, but most famous is Longshan Temple in Wanhua, the oldest district. Taipei shopping is fantastic and includes Core Pacific Living Mall, supposedly Asia’s largest. The Ximending area has lots of shops (and karaoke), while the Shilin Night Market should not be missed. For a break from the bustle head to central Daan Forest Park, the botanical gardens with its lotus ponds,or Yangmingshan National Park, known for hot spring baths and spring cherry blossom. 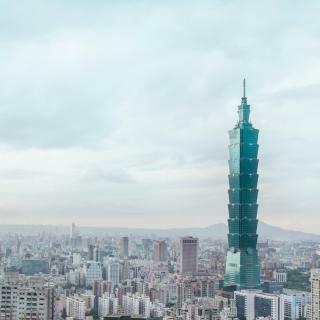 Whether you fly into Songshan or Taiwan Taoyuan Airport, the well connected public transportation system can take you to any Taipei hotel on Booking.com. The tourist spots were not a disappointment! The tourist spots were not a disappointment! Transportation is very convenient and efficient. Most locals cannot speak English but they are friendly. Overall, our stay in Taipei is pleasant and memorable! Our trip in Taipei was December and it was really raining during most of our days of which we had not been to places to visit as stated in the iterinary...We will just book again and visit on a month wt just cool weather and absolutely no rains at all. Taipei is a great city. Taipei is a great city. Locals are very friendly and helpful. They will come up to help you when they see you look lost. 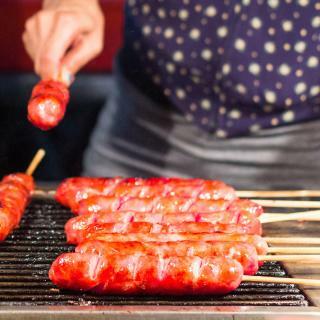 It has great food, night markets, bubble tea of course, and a few tourist attractions. Taipei and Taiwan overall are fantastic. Taipei and Taiwan overall are fantastic. We’d heard a lot about the issues with language barriers but we had no problems at all. It’s easy to get around Taipei using the metro and I highly recommend catching the high speed rail to the south as it’s a great way to see the country and another city. 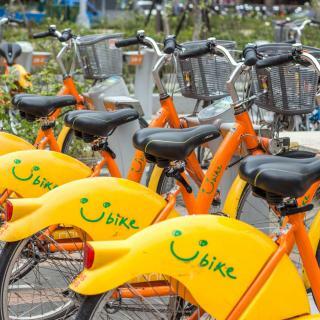 Loads of things to do in Taipei and we’ll worth catching the metro to Beitou for the hot springs and spending a relaxing afternoon. Most of the natural attractions are outside taipie so it’s best and convenient to book a tour(group or private tour depends on you). 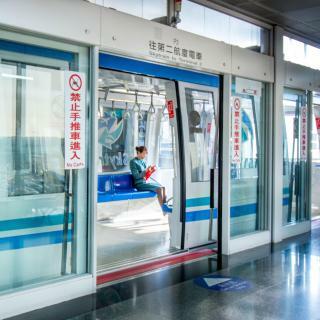 Roaming around the city and visit the taipie landmarks is easy to find taking mrt(so choose hotel near mrt station like ximen-green line or the blue & red line). The hotel was ok, a bit dated. We tried the hot spa tub in our private room which was nice. The location is close to MRT station and the Beitou park with the spa museum etc. It is far from downtown Taipei. We did some hiking, Miaopu trail up to Mount Qixing, which was really nice. We also went to Tamsui (4 stations by MRT) and further on to Fisherman's wharf with a 15 min ferry trip to look at the sunset from the famous bridge. However, we did not find any restaurants in the area so we went back with the last ferry at 7pm. The host is extremely helpful and friendly, guide us in, provide useful local tips, allows us to check in early... The apartment is very very wonderful, bright lighting, cozy and comfy! It equipped kitchen ware fulfill preparing a pretty decent breakfast. Housekeeping are score 100! Clean as 5 stars hotel！ Three patio, allow you to have a nice view, and tea/cigarette time. AND SO MUCH MORE, IT IS SO SWEET HOME THAT I DON’T EVEN WANT TO SHARE WITH OTHERS, if you come to Beitou, stay, and you will be more than satisfied! This is my 3rd stay in Diary of Taipei and I’ve always loved the location. It is right smack in Ximending and near the train station so you don’t have to drag your luggages too far. The staff are all friendly and welcoming. The TV has a lot of English movie channels when you just want to lie down and rest after a day of walking. It is in a building with cinema and shops and restaurants so you are spoiled of options. I would always go back to this hotel whenever I’m in Taipei. I love the decor of the hotel. It is unique and contemporary. The artworks on display are truly exceptional. The bedrooms are decent size for Taipei and the showers are fantastic. The staff are friendly, attentive and go the extra mile to make you feel at home. The hotel is in a central location, close to 2 MRT stations. I have stayed there twice and I will do so again without hesitation. The Grand Hotel is absolutely a unique experience in Taipei! I and my family visited during Chinese New Year Holiday, we had a warm stay there in the traditional atmosphere. Compare to the brand new hotels, I prefer the historical building of the grand hotel which is full of stories. Facilities are not the luxury level but decent enough, lots of activities you can do in the hotel. The 24/7 free food, I loved. The hotel housekeeping staff were pretty consistent with cleaning as well. I also appreciate how helpful the staff are. They managed to assist me with every request I made. They also gave me advice where to find the best spots and deals in Taipei. Shout out to Amber. The carpet is really clean, I can walk with my bare feet, feel like at home. And the desk lamp is unique, I enjoy the reading time there. The hotel do really spend some time in some small things, something like cups, soap tray, sheets, bathroom stuff...etc. Hope to stay there aoon. The location was really good as it’s just opposite of Taipei main station. The room’s size is just nice for one person. The hotel provide free bread and tea for whole day and they do have a beautiful garden for customers to chill at there. Great Hotel near to Da-an Park and Taipei 101 (Right Next to The Metro Station) Friendly Staff with no Problems for Late Check-Out. Rooms very clean and comfortable. Perfect Days in Taipeh! The hotel is very near the Taipei Main Station. The staff are very accommodating. The room is very clean. They breakfast is also okey. I had a great time staying at Diary of Taipei. The location and the cleanliness of the hotel. Kudos to the house keeping. We may not have a chance to see them but we were always happy to go rest to a sparkly clean room. The design is not bad after all I think this is more a designer hotel than homey hotel. Lovely boutique hotel. Very comfortable rooms. The workout room is small but well equipt. Breakfast good: western and Chinese. Wi-Fi worked great and good coverage. Staff very helpful. The hotel was very attractive to the eye. The rooms were well kept. The bathroom left a little to be desired for space and set up but for the price it was worth it! Highly recommend!